Sue & Chris Mills invite you to experience, from your bedroom window, the wonderful Peak District scenery. Situated on the Chatsworth Estate, in the beautiful Derbyshire Peak District National Park, Bubnell Cliff Farm offers magnificent views of Chatsworth Park and the rugged Baslow & Curbar Edges . Bubnell Cliff Farm is a working farm covering 300 acres of grassland concentrating on cattle rearing and also featuring a small herd of pedigree Longhorn cows www.wheatlands-longhorns.co.uk belonging to our son Tom and his wife Jo plus the usual cats, kittens, dogs and 3 pet pigs Penelope, Bernard and Prudie. As tenants of the Chatsworth Estate, we have lived and worked here for the past 30 years. The farm is approx 25 minutes from the M1 (j29) and ¾ of a mile from the centre of Baslow village. 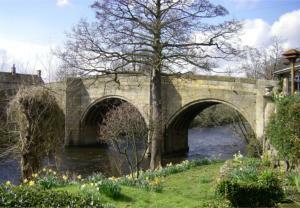 Chatsworth House is approx 2 miles by car or can be reached by taking a leisurely 30 minutes stroll through Chatsworth Park (easily accessed from Baslow village). 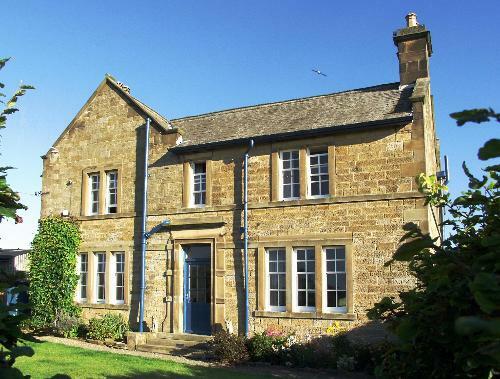 Bubnell Cliff Farmhouse dates back to the late Victorian period and although the house has been modernised over the years its high ceilings, picture rails and large rooms ensure that much of its Victorian character is retained.